So far, Pokemon GO players were not quite as enthusiastic about the anniversary event. In addition to a special gift box and a Pikachu with Ash hat, Niantic did not deliver much. Now, however, the developers have kicked off the event with the "events around the world" event, and the fans are likely to be mild again. 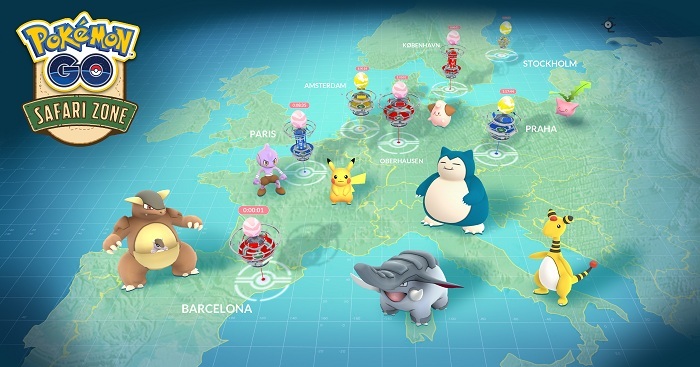 Players in Europe can look forward to Safari Zone events. For the anniversary of Pokemon GO fans had hoped for something more than a gift box and a new Pikachu with an Ash hat. The Shitstorm over it led so far, that even the subreddit of the play had to be switched off. With the action "Events around the world" the developers reported themselves now with new information. Players will receive additional bonuses and in Europe, safari-zone events will be celebrated. 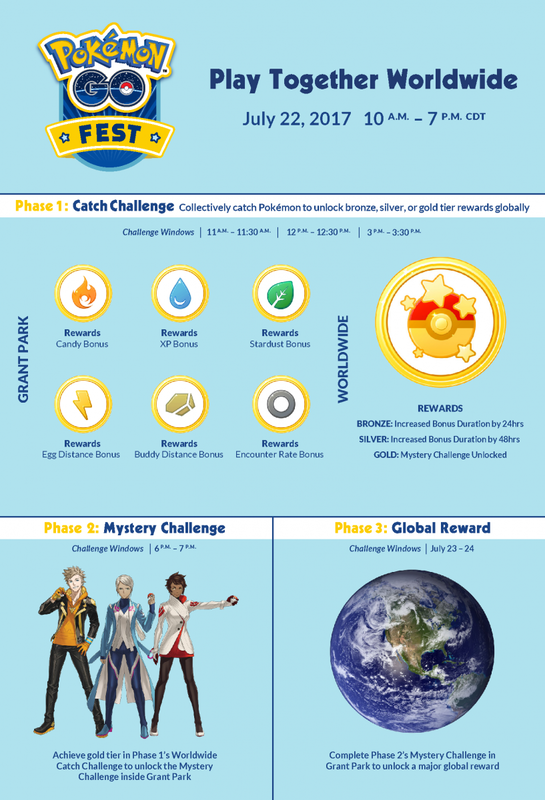 The Pokemon GO Fest, which was already announced by Niantic on Saturday 22nd July (Grant Park, Chicago, IL), invites players to a very special event. What was previously unknown was what the players were expecting. Participants of the event earn special bonuses for players all over the world with three Challenge Windows during the day. According to the official message, the rewards are linked to the Pokemon types, which catch the players during the event. Trainers can catch, for example, Electric-type Pokemon to reduce the distance associated with Egg hatching, or Grass-type Pokemon to secure a variety of other bonuses. But also Pokemon trainers outside of Chicago can participate in the successful outcome of the event. "Meanwhile, Trainers outside of Chicago will attempt to catch as many Pokemon as possible during the Challenge Windows to extend the duration of the bonuses unlocked by those attending the event. If Trainers around the world catch enough Pokemon, a mystery challenge will be unveiled in Grant Park that, once completed, will unlock an extra-special bonus across the globe. " This event is being organized by The Pokemon Company in Yokohama between August 9th and 15th, but Niantic will not give us much more information - pointing to the fact that TPC will hand over details of the event in a few days.